The Imo Sociocultural Organization and Town Unions, Monday called on the people of the state to brace up for a peaceful protest against the planned establishment of cattle ranching in the state. The group’s Coordinator Mr. Emeka Diwe and Secretary, Sylvester Nwogu, through a statement to Vanguard in Owerri, claimed that the people of the state, are angry. 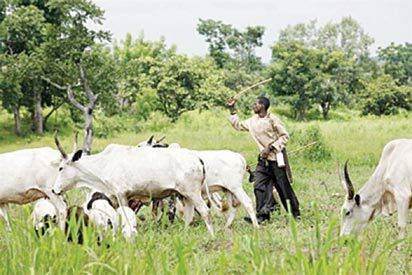 Vanguard gathered that the latest of such protest against the said establishment of cattle ranching in Imo, is coming as the Christian Association of Nigeria, CAN, Imo state chapter, had raised an alarm over the said plan by the Imo state House of Assembly, to pass a bill to legalize cattle ranching in the state. Recall that Vanguard had reported that, some communities in the state had suffered set back as a result of invasion into their farms by herdsmen. Also, some women in the state, were reportedly fined for protesting against herdsmen. According to the group’s statement, “We the Coalition of Imo Sociocultural Organization and Town Unions have rejected the bills for the establishment of Cattle Ranches in Imo State as well as bill for the registration and issuance of Certificate of Occupancy (C of O) to lands in the rural areas currently before the Imo State House of Assembly. They lamented that, “Imo State House of Assembly abandoned other critical areas begging for their intervention, only to dabble into the dangerous invitation of the Herdsmen into Imo State through the said bill. “Another worry is the registration and certification of rural lands by the Imo State Government, it is another ploy to defraud the poor villagers and deprive them of their ancestral lands. “The dangers the activities of the Fulani Herdsmen portend in any area they come in, we urge the Imo state House of Assembly to respect peoples opinion and drop the bills in the interest of the rural farmers and our helpless women. “Igbo people who are known all over Nigeria as spare parts dealers and traders are not given free land or stores in any part of the country, rather, the buy lands and rent shops at expensive rates to do their business.